Another project for the City of Columbus, the scope entailed a new pump house and a structure to contain staff, concessions, training, and swimmer facilities. The existing pool on the site was replaced with a 10 lane x 25m pool and a zero-depth recreational pool. Many public pools throughout the country are flanked with masonry utilitarian boxes that are uninspiring. Much thought was given to provide a solution that was indestructible, yet inspiring. 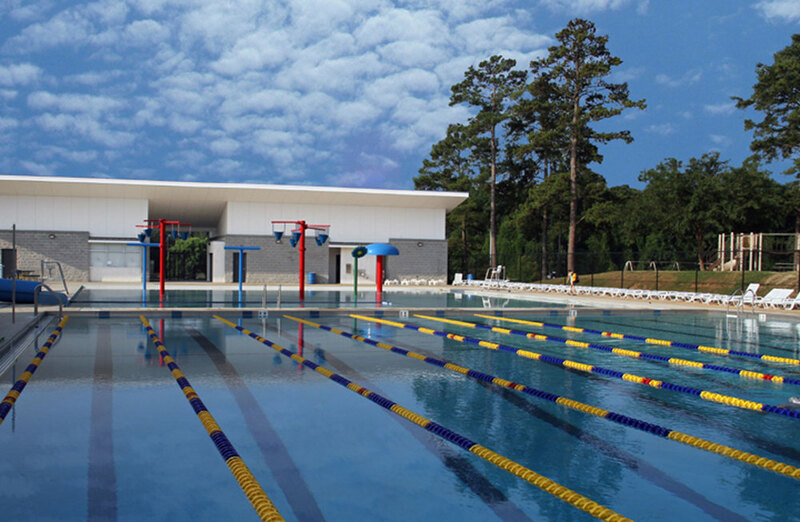 The design team wanted the buildings to convey a sense of rigor common with competition swimming and playfulness with summer days spent at the pool. Simple materials and a butterfly roof are assembled in a manner to create a strong and enthusiastic statement.